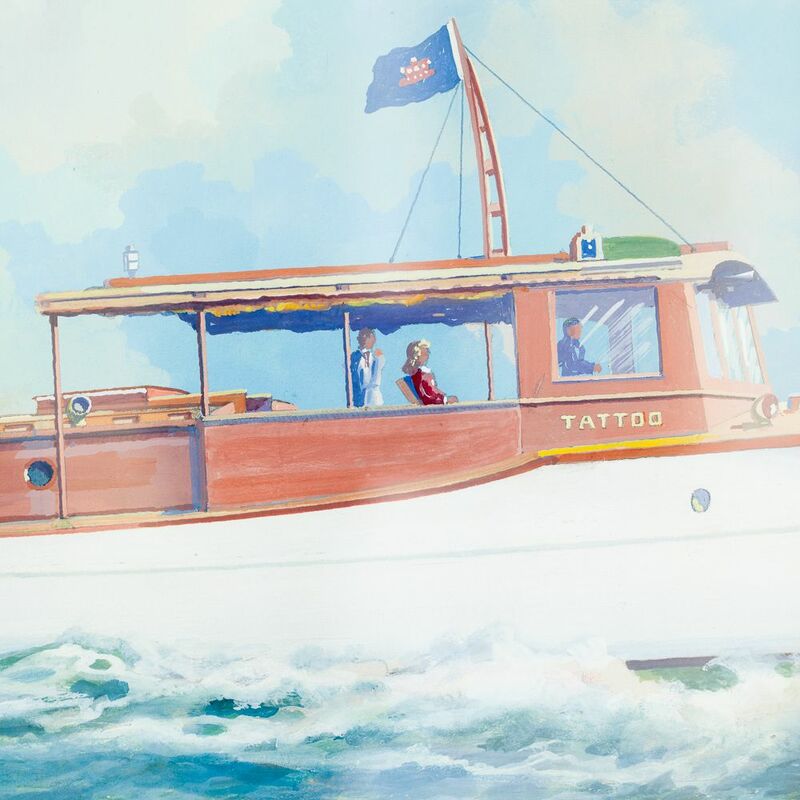 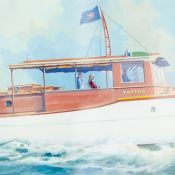 A detailed watercolor portrait of “Tattoo”, an Elco cruiser by Wallace Randall. 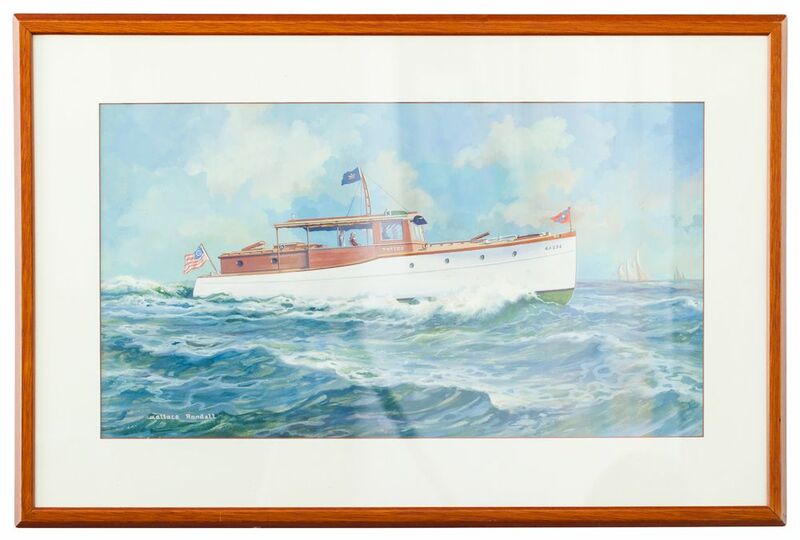 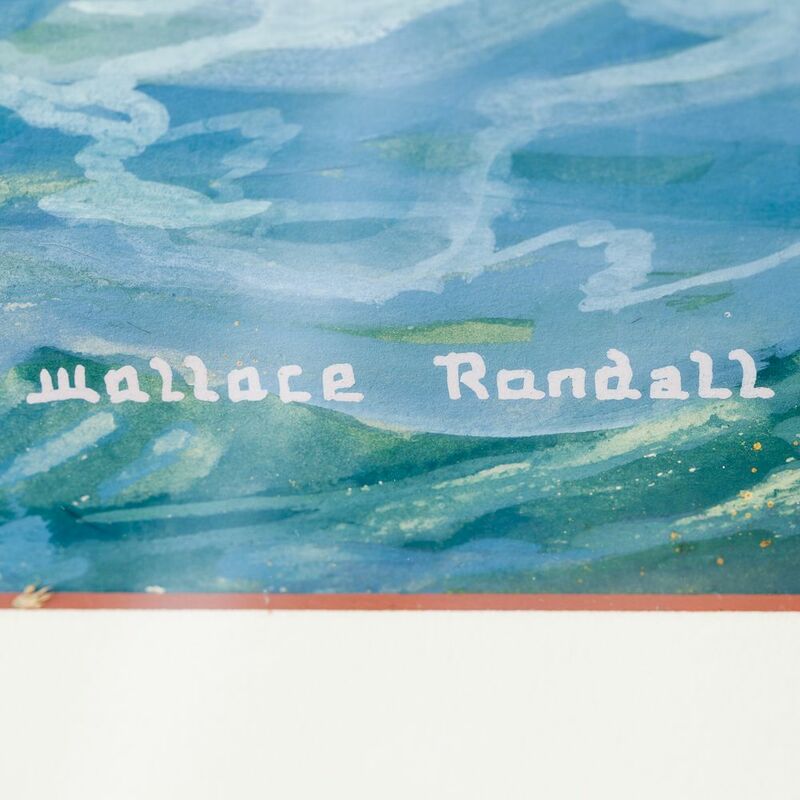 Randall was known for his portraits of steamships and vanity portraits of private boats. 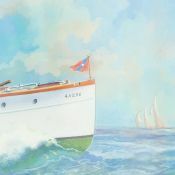 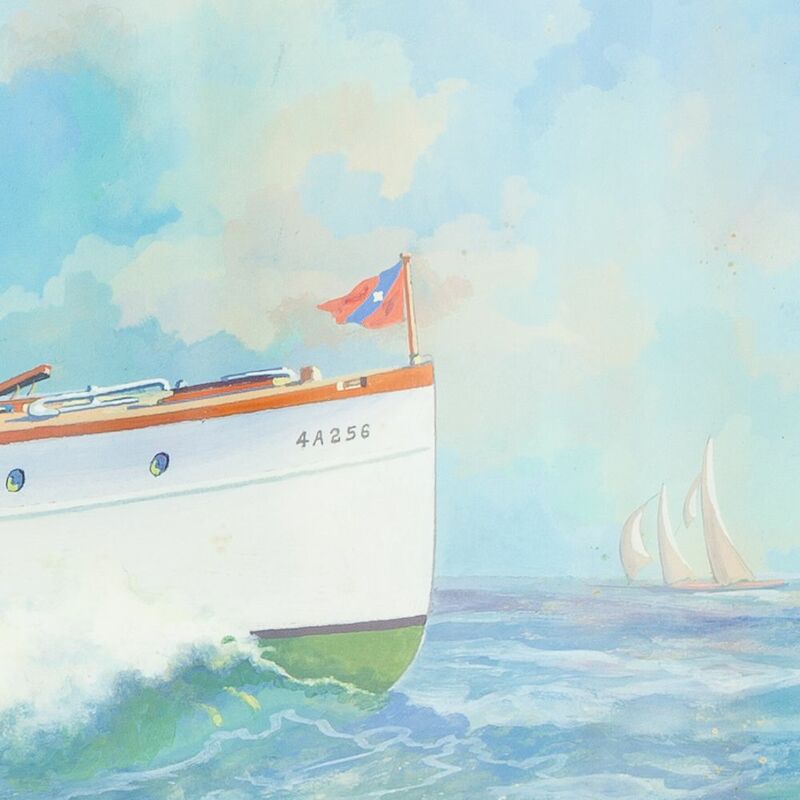 The Elco cruiser depicted is bearing the flag of the Eastern Yacht Club, Marblehead, Massachusetts. Randall was born in America in 1900.